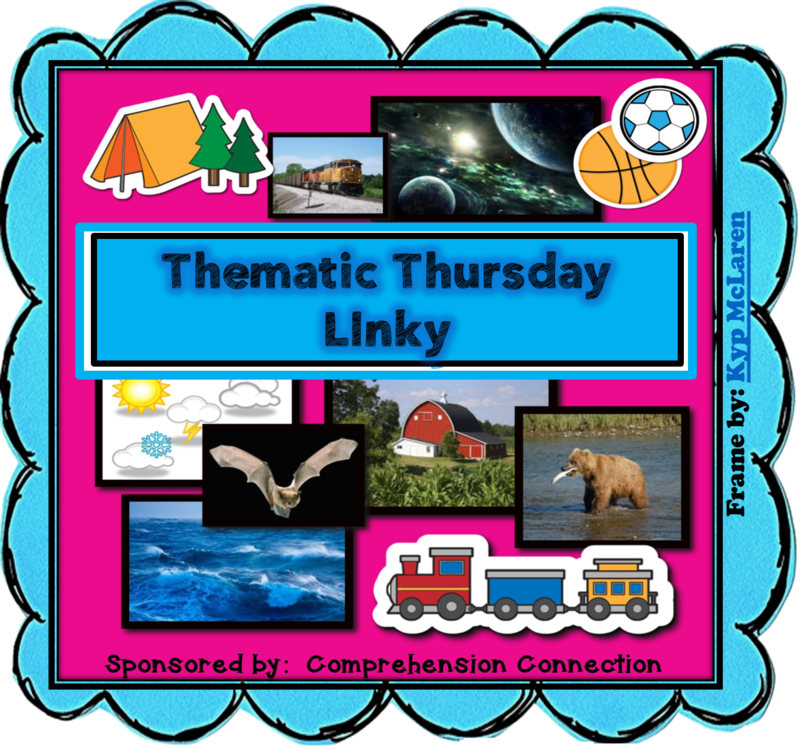 This week’s Thematic Thursday is all about space, and I’ve chosen to focus a bit more on the moon. Obviously, when you want to learn something, nonfiction is the place to make sure you get the most facts. These books gave facts but also had some aspect that made them easily accessible to my young child. When he was in kindergarten, he did not read them all with me, but I’m excited to revisit them now that he is older. Moon by Steve Tomecek, illustrated by Liisa Chauncy Guida (National Geographic, 2005) introduces young readers to basic facts about the moon with cartoon illustrations featuring a fun and friendly cat. It’s an easy to read picture book to read aloud, and not too dense. The Moon Book by Gail Gibbons (Holiday House, 1997). I love Gail Gibbons’ nonfiction picture books: she does a great job at capturing a subject with lots of detail, but presenting it in a way that kids can understand. The Moon Book is no exception. While it is illustrated, it is not cartoony. Gibbons provides a readable picture book, with the bonus of regular sidebars and notes on the pictures. It is packed with dense information), it still interested him. The Moon by Seymour Simon (Simon and Schuster, 2003). The best part of Mr Simon’s book is the gorgeous NASA photographs on every page. It brings his basic facts to life. Moonshot by Brian Floca (Athenaum, 2009). A gorgeously illustrated retelling of the Apollo 11 moon landing, Moonshot is packed with information for the older kids and plenty of active story-line for the younger ones to pick up on. Footprints on the Moon by Mark Haddon, illustrated by Christian Birmingham (Candlewick Press, 1996). This memoir picture book worked wonderfully. Best-selling author Mark Haddon writes of his own childhood studying the solar system and dreaming about the moon, then shows him tuned in the television, watching the first humans walk on the moon. He dreams he joins them. It’s a lovely story, with soft illustrations that perfectly fit the dream-like quality to childhood. Raisin loved the little boy of the story. I love nonfiction picture books but sometimes a lot can be learned from fictional stories. These stories have some great artwork and stories behind them. I find them to be a fun extension of the moon-learning when we read fiction like this. Moon Plane by Peter McCarty (Henry Holt, 2006). In a fantastic dream, a young boy travels to the moon in the plane that flies overhead; it was fun to find a fictional picture book that tied in so well with the other books we read. Moonday by Adam Rex (Disney Hyperion, 2013). The moon follows a family home one day and stays in their backyard, messing up the tides, people’s sleep patterns and so forth. The child and parents try to cover it up with blankets. A ridiculous dream-like story, yes, but fun to notice the truths about the moon amid the silly. Papa, Please Get the Moon for Me by Eric Carle (Simon and Schuster, 1991). A young girl wants her father to get the moon for her. Although he gets a very long ladder, the moon starts to shrink. There is little educational in this book, but it sure is fun! I Took the Moon for a Walk by Carolyn Curtis and illustrated by Alison Jay (Barefoot Books, 2008 ). Although it is a rhyming story about a person carrying the moon behind them like a kite, there is also nonfictional information, such as moon phases, at the end. Kitten’s First Full Moon by Kevin Henkes (Greenwillow, 2004). An adorable cat sees the reflection of the full moon in puddles and the pond and wants to drink up the milk he believes it to be. Here are some teaching ideas I found on Pinterest. I did some of these when we studied the moon two years ago, and the others are things I want to try! What do you do to learn about the moon? Hop over the Comprehension Connection to see more posts with books and activities for learning about space!